The Herman Miller Showroom in Los Angeles hosted a unique exhibit to support animals in need during March. Architects for Animals 'Giving Shelter' is a fundraiser for FixNation, a LA-based non-profit organisation aimed at raising awareness for homeless animals. 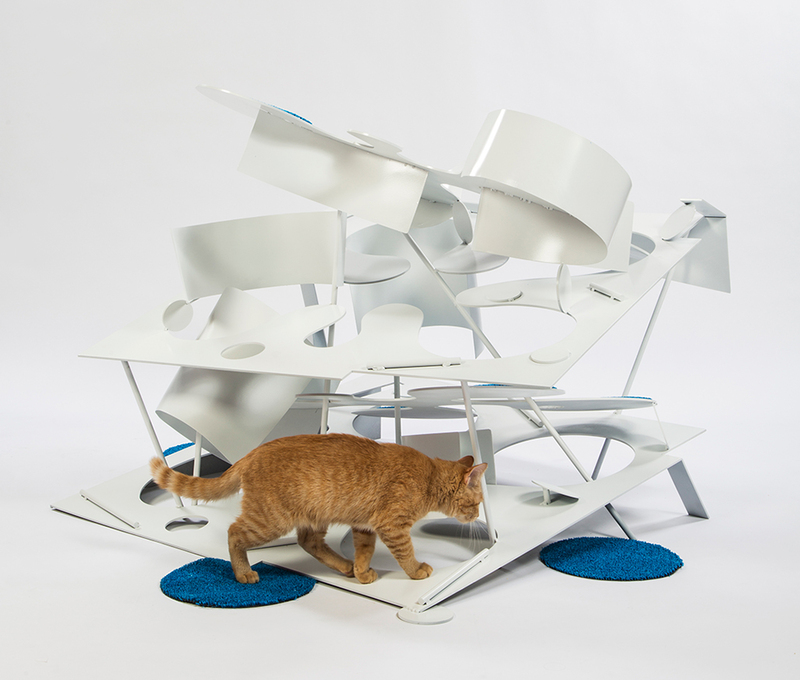 Individual designers and architecture practices were tasked to design, build and donate creative outdoor shelters that would act as a refuge from the elements for cats and other animals. Practices that took part included: Abramson Teiger Architects; CallisonRTKL; DSH // architecture; the team of Formation Association, Arktura, BuroHappold; HOK; Knowhow Shop; Lehrer Architects; Perkins and Will; RNL; Pfeiffer Partners Architects; Standard Architecture | Design; and the team of Warren Office + Schmidt Designs. The range and quality of design is a testament to the remarkable collection of architects and designers who took part. Designs involved 3D-printing, heat-retaining materials, night lights, protective measures and more. 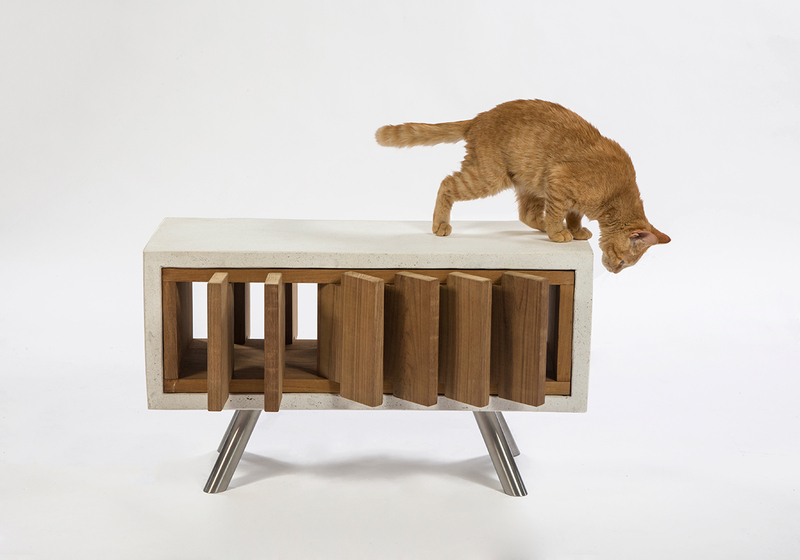 Innovative designs included 'Cat Bowl' from Abramson Teiger Architects. 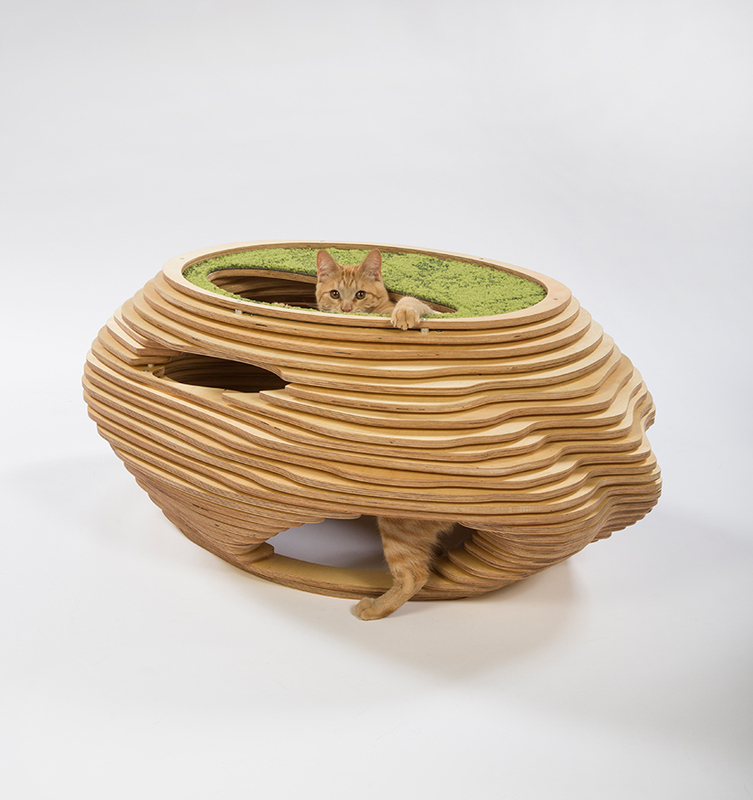 The idea is based on a cat replacing the fish in a fishbowl, where the design allows the cat to sit sheltered and secluded on the inside and still be able to watch the world go by outside. 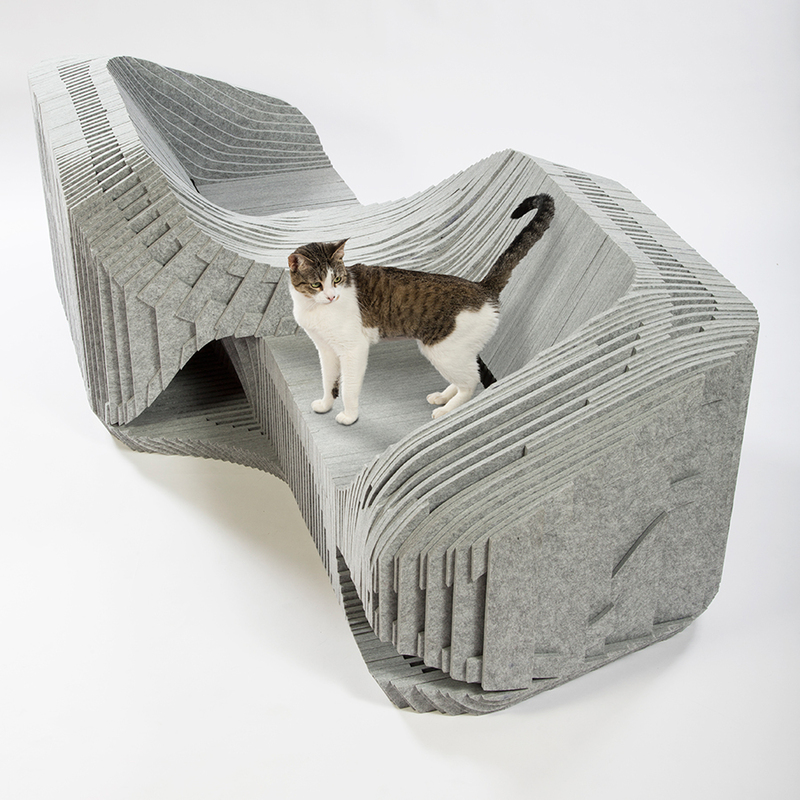 Design firms Arktura, BuroHappold and Formation Association teamed up to create 'Cat-à-Tête'. The design uses recycled plastic bottles to form a sustainable base material that is 100 per cent recyclable. Soft and tactile, the material is similar to felt. Various openings provide a safe place for the cat to enter and escape quickly if necessary. After the shelters were on display to the public they were donated to organisations who also work with animals in need. 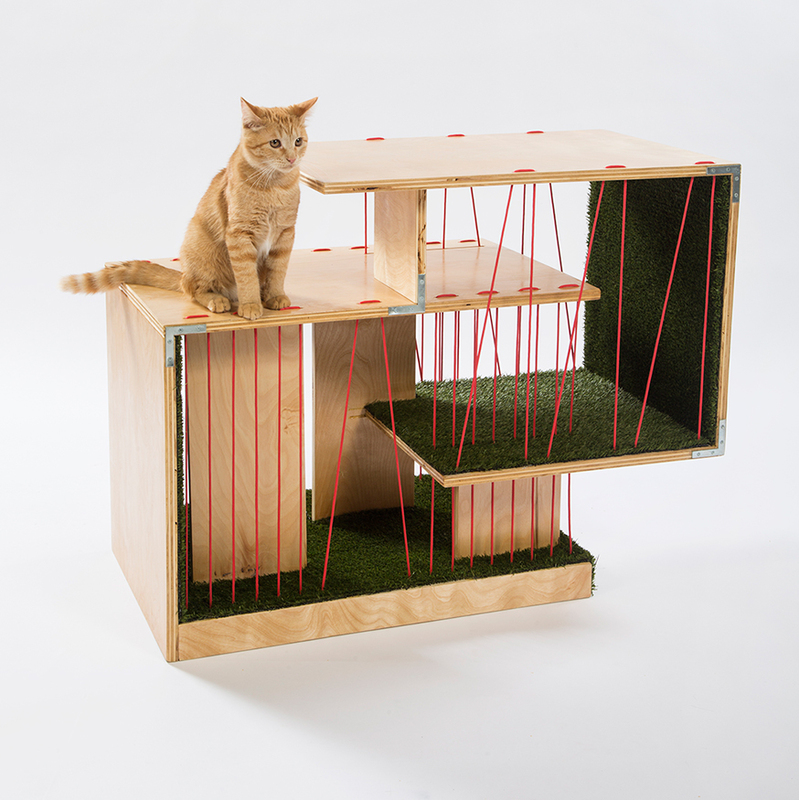 Find more about Architects for Animals here.